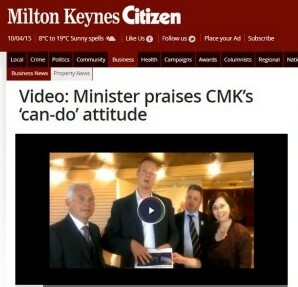 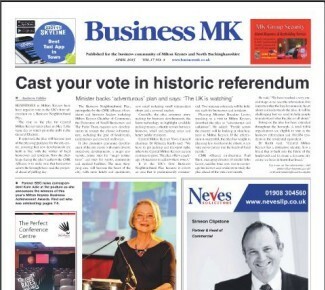 Volunteers from the business community and local residents in Central Milton Keynes have spent 14 months hammering out a document that they want to take to a referendum as a united CMK Alliance plan. 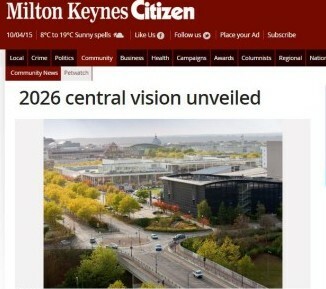 An alliance of businesses and residents in Milton Keynes have pieced together a blueprint for how they would like the new city’s central district to develop until 2026. 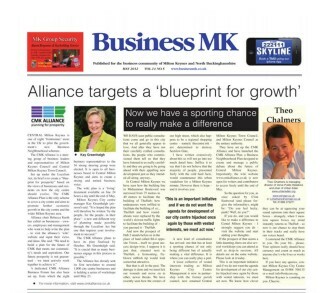 The business community has the opportunity to have its say on the Business Neighbourhood Development Plan being put forward by the CMK Alliance, a group comprising representatives of business and the public and voluntary sectors. 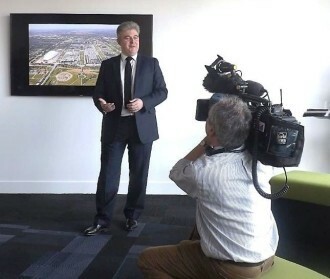 CENTRAL Milton Keynes is one of eight ‘frontrunner’ areas in the UK to pilot the government’s new Business Neighbourhood schemes.